All Kyle homes currently listed for sale in Kyle as of 04/22/2019 are shown below. You can change the search criteria at any time by pressing the 'Change Search' button below. If you have any questions or you would like more information about any Kyle homes for sale or other Kyle real estate, please contact us and one of our knowledgeable Kyle REALTORS® would be pleased to assist you. "Well-maintained single-story home, ready for move-in! Perfect for a first-time home buyer, investor, or anyone looking for ease of ownership. Functional layout features an adaptable flex space which is great for an office, play room or formal dining. Large, well-appointed kitchen seamlessly transitions to a comfortable family room. Huge master bedroom with private en-suite bath and spacious walk-in closet. Sprawling, grassy backyard with a privacy fence. 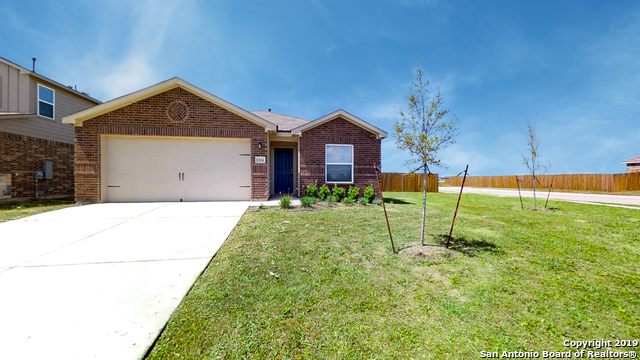 Conveniently located near I-35 for an eas"